First off, this album is actually released under the name “Joe Molland.” It’s the same guy, though, just a slight variant on his name. Rather than set things up under a separate artist page and create confusion, and since “Joey Molland” is already in, we’ve put this one under that name. With that out of the way, how is this album? It’s great. It’s a blend of classic rock sounds and other things. It’s catchy and quite entertaining. 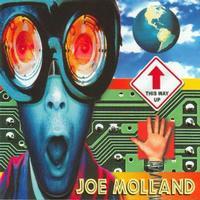 If you’ve liked Joe Molland’s work (either with Badfinger or solo) you should enjoy this. It would also be a great introduction. After a cool introduction, we’re taken into a catchy pop rock song. This is very Beatles-like, but with older rock and roll in the mix, too. The background vocals add a lot, but the whole song is just cool. I love the little riff that opens this. This is an energetic rocker that has a lot going for it. The vocal hooks are great and the whole tune just rocks. Although there is still a lot of classic rock in the mix here, this has a more modern sound. This has a very positive vibe and it’s energetic and catchy. While I love the whole song structure here, it’s the organ sound that really adds a lot of style. This is another great pop rock tune with classic elements. I like this one a lot, too. It almost has a space rock element to it, and perhaps some hints of surf music. There is definitely a bit of an ELO vibe on the chorus. It’s catchy and quite tasty. A mellower tune, this is very much a Beatles-like pop rock tune. I love the bouncy vibe of this number. The bits of piano are great, too. This is just so catchy and so cool. It’s possibly my favorite piece here. There is a lot of drama and magic on this cut. It’s another that has some hints of ELO, too. It’s a great cut, but everything here fits under that hat. The trippy closing section is very psychedelic and very cool. This one has more of an old time rock and roll sound going on for it. Here we get another Beatles-esque ballad. It reminds me a bit of Rod Stewart at times, too. Later segments really make me think of David Bowie, too. Old time rock and roll and a bit of country are blended on this balladic number. This is very old fashioned in sound. It again has definite Beatles elements. It’s good, but not one of the better tunes here. Complete with a bit of a honky tonk piano solo, this is old time rock and roll through and through. There is some great slide guitar built into this, too. This rocker is good, but definitely the weakest tune on display here. It’s not the best choice for closer for that reason. I think the set would have worked better if this had been placed somewhere in the middle.